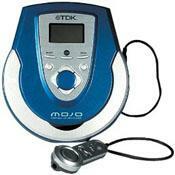 MOJO 620 is most powerful CD-MP3 Digital Jukebox ever. The proprietary Navitrack system and the 4-line backlit LCD make navigating the unit easy, while the ReFlex remote keeps you in control even when the player is stashed in your bag. MOJO 620's sleek new design is sure to please even the most selective music enthusiasts.